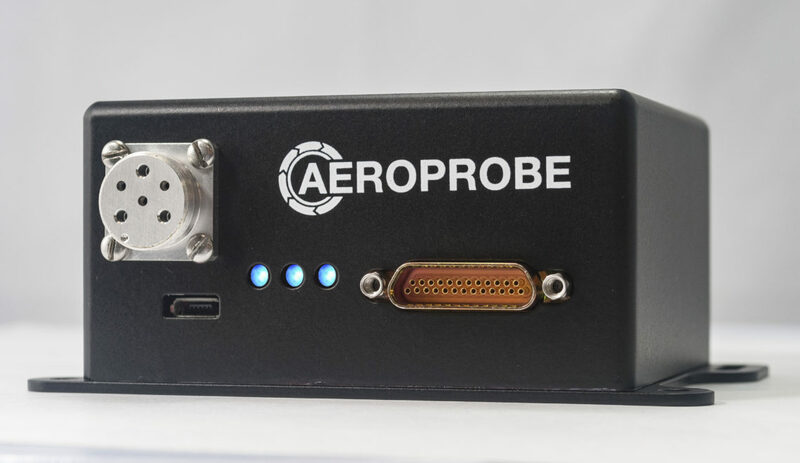 Aeroprobe Corporation announced today that its Pegasus and Destiny Micro Air Data Computer (µADC) models have achieved U.S. Military MIL-STD 810G and 461F and FAA DO-160F temperature, vibration, and shock certifications. µADCs are a component of Aeroprobe’s Micro Air Data System (µADS), a fully integrated solution for complex air data measurement. When paired with the company’s Air Data probes, µADCs provide real-time data used to improve the safety, stability, and efficiency of both manned and unmanned vehicles. The certifications demonstrate that Aeroprobe’s µADCs can be successfully operated in harsh conditions, including extreme temperature and vibration environments. Aeroprobe will offer documentation demonstrating that units from Pegasus and Destiny models met or exceeded the standards necessary to receive military and FAA certifications. The company will also begin offering a variety of unit-specific tests for both models. Extended Screening (ES) versions of Pegasus and Destiny will undergo thermal soak testing in addition to the standard tests performed on all µADC models. Customers will also have the option to add acceleration, random vibration, and combined altitude and temperature testing to individual units. The new documentation and optional testing will be available to purchase immediately. The Aeroprobe sales and engineering teams will also continue to work directly with customers to determine specific needs and solutions.